If your musicians/students would like to attend can you reply with the approximate numbers attending so we can reserve you a block of seats. Roads less travelled - Cuba, the Americas, Asia, Australia, more Europe! and more stimulating for ensembles. The Roads Less Travelled are the ones to travel now. Performance opportunities your performers could not experience without you! Alina Orraca and I are delighted to join in inviting you to Cuba to sing in Voces Unidas/Voices United - a festival of great choral music for mixed choirs. School, youth and college choirs will especially enjoy workshops, exchanges, rehearsals and two significant combined concerts with Cuban choristers… the people of two lands singing Voces Unidas! This will be a unique coming together of Cuban and U.S. musical talent. Cuba abounds with culture and the Cuban spirit is imbued with rhythm and song. There has never been a more dynamic time to get to know Cuba; to hear its sounds and to see the friendship grow between the people of both countries. We welcome you to Unite in Voice in this festival of spirit and goodwill! Europe and the UK haven’t been cheaper in years. We continue to be able to cut the price of European concert tours as the dollar strengthens against a declining Pound and Euro. We welcome the chance to prepare quotes for you based on the changing exchange rates - packaging the European concert tours of your dreams – safely, interactively, culturally and more cheaply!. A land of riches in its own right including Vienna, Salzburg, Prague, Budapest, the diversity of Germany and countless welcoming towns in between. Italy, Spain, Greece and much more. Sing at St. Peter’s in the Vatican, cruise the canals of Venice, admire Florence and perform alongside Italian choirs in the rolling hills of Tuscany. Spain tantalizes for instance with Barcelona, Madrid and Valencia while Greece still feels as though it cradles civilization itself. Another world of long summer days, distinct cultures and unique singing traditions. Estonia/Latvia & Lithuania make up the Baltics, Finland and Sweden just a ferry away while Poland and Scandinavia have their own unique appeals. Britain’s jewel in the crown…London. As you probably know, I am very enthusiastic about conducting my first festival down under in the Sydney Opera House in July 2018. Having Jake Runestad agree to write a world premiere piece for us for this breathtaking venue adds to the excitement. This is my invitation to you and your singers to join us in Australia. Full choirs are very welcome and have options for individual concerts in addition to the opportunity for their own cameo performance on the stage of the magnificent Sydney Opera House Concert Hall Stage. Smaller groups of singers will equally love the combined elements of this festival over the four festival days in Sydney. Rehearsals, sectionals, sightseeing (sailing the Harbor and seeing the kangaroos/koalas), meeting locals, optional individual concerts, the Dress Rehearsal (as we take over the venue for the day) and finally the gala concert in the hallowed halls of one of the world’s iconic halls are some of what we will be doing. Please feel free to be back in touch with me via this email address or directly with Oliver@KIconcerts.com for further details. We have had so much fun at the previous KI festivals that we know this will be another exceptional opportunity for you and your singing community. Iceland is all that children’s choirs crave. You couldn’t create a destination more suited to children’s and treble choirs! We will make great music together bringing a style of performance and repertoire to this island country that will be celebrated for its freshness, vitality and quality. Also, I would love to create an opportunity for any interested choirs to perform separate concerts prior to the gala combined performance. Some participating choirs will wish to view this strictly as a festival tour experience returning home in just less than a week. Others will wish to continue touring Iceland on custom tour extensions. For those choirs wanting an extended tour into Europe, it is only 3-5 hours of flying from Reykjavik. Truly, this festival can be tailored to meet your specific needs. Your singers and families may not know much about Iceland, (as I had not) but I guarantee that with a little investigation they will be as excited as I am to explore this beautiful country and share this wonderful musical experience. I am thrilled to present this very special destination, custom made for the touring needs of treble youth choirs. Christ Church Cathedral joins me in inviting you and your singers to join my2018 Dublin Choir Festival concert. 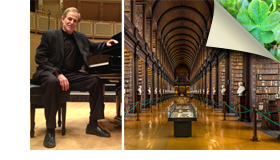 I will program 30 minutes or so of repertoire that captures the Irish spirit also sharing the music of America and the rest of the world. You will also be invited to perform in your own right in the prelude to the combined festival choir on July 6 in addition to Belfast or Galway concert options. Until we meet in Ireland. Let’s join together in song for Mass at St. Peter’s Basilica, The Vatican, on July 4, 2018 prior to staging our gala festival concert in Rome. The gala festival will feature the individual choirs before we combine as the festival choir in one of Rome’s grand venues. In addition, you are invited to perform other concerts in Rome, Florence, Venice as well as Italy’s other great cities. Europe is very cost effective now and Italy is the origin of so much of our music and way of life. We literally walk through history as we tour the Sistine Chapel, the Coliseum, the Roman Forum, Pantheon, Trevi Fountain and much much more – and that is only in Rome! I look forward to working with you and your singers. Let’s share the energy and magic which comes from joining in voice – amplified through the eons in the historical context that is uniquely Rome. Vienna & Salzburg…places beating within the hearts of all conductors, music educators and singers. I am looking forward to rehearsing and conducting the combined festival choir in Vienna before presenting our gala concert again in Mozart’s hometown of Salzburg. I am also excited to hear our individual participating choirs sing their own concerts or in exchange/partner concerts in Vienna (as well as in extension cities if post-tour options are chosen). Presenting this festival in Austria combines two of my passions: joining in community with musicians to create beautiful choral music and exploring amazing locations overseas. I have toured my own choirs happily with KIconcerts for many years now and am looking forward to this new collaboration with them. Please feel free to be in touch with any questions you might have. I look forward to working with you and your choristers as we sing a festival choir program filled with wonderful music from around the world including Europe and the US. I look forward to greeting you in Europe. On behalf of the Associazione Musicale ROMAinCANTO, I wish to invite you and your singers to the 2018 International Festival of Sacred Music. This will be a great musical event in St. Peter’s Basilica at the Vatican where I am one of the organists and in other iconic Rome locations. The Festival is under the patronage of the Pontificio Istituto Liturgico - Università Sant’Anselmo di Roma, the Pontificio Istituto di Musica Sacra di Roma and the Istituto Nazionale di Studi Romani. We invite choirs of the world who sing sacred literature as a part of their repertoire to join with me as we rehearse together prior to animating Mass at the main alter of St. Peter’s Basilica (singing the Entrance, Offertory, Communion, Recessional) as the Festival Choir. In addition, we will stage concerts for the participating choirs and you are invited to a be reviewed by expert judges in a non-competitive setting as well as to attend a workshop on the Schola Romana of Palestrina which I will lead for you. This workshop will involve the study of a motet in the context of the era and characteristics of the Palestrina style. A DVD of the Mass will be provided to each choir in addition to a plaque and a certificate will be given to every workshop participant. I am delighted to be working with KIconcerts to host choirs from North America and Australia along with choirs from other countries and would be happy to cooperate with them to answer any questions you may have. I am pleased to have been asked to conduct a festival performance in Barcelona, Spain in early June of 2018. Barcelona is one of the most interesting cities in the world. In 2017 it will host the World Symposium on Choral Music. It is a very choral friendly city. Perhaps the most interesting site in Barcelona is Gaudi’s Church of the Sacred Family. I have now done four of these festivals for KIconcerts and I can tell you that they are a first rate organization. They find great hotels and wonderful concert venues. These projects work well for choirs, as each choir has its own tour schedule and concerts plus the festival performance provides an opportunity for them to come together and perform a major work with other choirs, professional orchestra and soloists. I have tentatively selected the Haydn Theresienmesse for the festival concert. Because of the flexible nature of the festival performance, smaller choirs or choirs with some balance issues may choose to participate only in the mass choir concert and choose not to do individual performances. Your tour can be extended to the Madrid area or virtually any other area of Europe. Believe me however, there is more than enough in the Barcelona area for you and your singers to have a spectacular time. I hope that you can join us in June, 2018 in Barcelona. Welcome back to the academic/singing year! I wanted to ensure you had the information on our 2018 New Year’s festival (12/26/17 – 01/01/18) as early as possible to give you almost 18 months to plan if you’re able to consider joining us. I have chosen the mild climate of Barcelona to contrast the North American winter over New Year and great airfares that time of year enabling KIconcerts to offer $2895 per person from selected East Coast gateway cities. Having worked with KI on our winter festivals previously in England and Greece I know that this is a winning formula and commend KI to you. Barcelona is a city of great hospitality and charm featuring the Gothic Quarter which boasts many fine festival venues, La Rambla, beaches, Gaudi, fine food and a proud Catalonian culture. Our tour is timed to enjoy the friendly exuberance associated with New Year’s Eve in this part of the world. In addition to the touring options in Barcelona (and through the Madrid optional extension) we will create great music together. After our combined rehearsals of the 30-40 minutes of Festival Choir literature we stage our concert featuring individual performances from those participating choirs that wish them. I look forward to the possibility of hosting you in Spain! Register interest now for a proposal to be sent. We know the academic year is winding up for you so we wanted to update you on some of our great festival opportunities as well as remind you of the many destinations ideal for bands and orchestras. We were proud to stage the Pennsbury High School Marching Band and Jazz ensemble in Sydney over Easter. At the same time Council Rock Marching Band and Winter Guard were in Tuscany and Rome earlier this year – they sounded great parading from the Coliseum forecourt. This week The UST Wind Symphony plays Dubrovnik, Mostar, Split and Zagreb in Croatia and Bosnia while the Orange County Youth Orchestra starts to pack for their tour to Spain. St. Patrick’s Day is made for marching bands. Ireland offers bands performances throughout the land and across the year. While I am on the road through June & July visiting with groups across Europe Lance and Tanya are in the office working on your 2017 and 2018 concert touring plans. Let us know what you have in mind and we will put some proposals together for you. A stepping stone to the UK and continental Europe or a unique destination in its own right! Perform in one of the great venues of Reykjavik, tour the breathtaking sights within an hour of this most northerly capital city in the world and then, just 3 hours later, find yourself in any of the great cities of Europe. Spend a week performing and touring this island of natural beauty venturing north where time spans millennia with vistas as vast as the glaciers that formed them. Iceland boasts great venues, grand pianos in abundance, a choral tradition steeped in Northern traditions, a language descended from ancient Norse and a courteous warmth from times gone by. Horses as distinctive as when the Vikings brought them, whales swimming close by, a geyser that erupts every 7 minutes or so, steam that seemingly comes from the very centre of the earth and geothermal water for lagoons, swimming pools in every community and to power the country. Perform and enjoy cultural exchanges far removed from the worries of the world and be forever changed by the traditional land that Iceland remains. Be in touch for more information on custom tours and for information about 2018 festival programs with Henry Leck and Simon Carrington in Iceland (tbd). As you know Cuba is in transition and renewed ties with the USA are a great symbol of this. Cultural exchanges have never been more important and performance tours such as the 2017 Rollo Dilworth Festival are now welcomed and able to be organized without uncertainty. The greatest of the many fine venues are available to us with warm audiences and inspirational master classes as well as in depth exchanges: a chance to learn and share. There are few countries with a greater abundance of cultural riches on the streets and in town squares, in grand and intimate halls as well as in clubs and homes. I was fortunate on a recent visit to coincide with President Obama’s Humanities and Arts Delegation. We were honored to be introduced to Omara Portuondo an original member of the Buena Vista Social Club! An outstanding choir under the direction of Maestra Digna Guerra sang for us. Rollo Dilworth is leading our first festival there next year for community, church and quality student choirs. It is time to consider visiting Cuba now that entry is easier and we can guarantee you the genuinely life changing concert opportunities that you will keep with you for life! Be in touch for more information about the Rollo Dilworth festival as well as custom tour opportunities in this great country, Cuba. I met with KIconcerts recently to finalize details for my 2017 Barcelona Festival. I thought that your choir, or a smaller group of singers from within it, might wish to join us in Spain. In addition to the combined festival choir rehearsals and gala concert in Barcelona, there are many options to perform your own concerts in Barcelona, Madrid or the South of France. Remember that one of the great aspects of this festival is the unique musical offering also for groups of singers from choirs not able to travel in their entirety. Barcelona is one of the great cities of the world with truly beautiful venues, Gaudi’s architecture including the astounding Sagrada Familia in which we are able to perform a recital, the ancient Gothic Quarter adjacent to the movement, sounds and colors of Las Ramblas. All nestled in a setting with great beaches, food, music and, of course, dance. Spain is relaxed, comfortable with a culture rooted in a proud unique history and we have created an inspiring collective and individual experience for singers and choirs alike. Join us on this great musical adventure by contacting either Oliver Scofield or me, Dr. Stroope, for further information. We are delighted that Dr. Heather J. Buchanan has accepted the invitation to lead the 2017 Passion of Italy Festival joining a list of great previous artistic directors of this festival including: Craig Hella Johnson, Anna Hamre, Rollo Dilworth, Karen Kennedy, Hilary Apfelstadt. Italy is a destination that calls to every singer. In Rome there are opportunities for individual performances, combined choir rehearsals, singing of Mass by the combined festival choir at St. Peter's Basilica and the Festival Gala concert - which is then replicated in Florence for those who choose to join us in Tuscany. Some choirs have opted to travel onto Venice for further touring and performances. One of the great aspects of a festival like this is the welcome to participation is equal for full choirs as it is for groups of singers from choirs not able to travel in their entirety. The musical offering is as rich and we are able to combine smaller groupings for the bussing and guiding aspects to ensure the optimum 40+ travel price is offered to all. Dr. Buchanan programs repertoire reflecting the spirit of destination. The Vivaldi Gloria is her selected "masterwork" for the combined festival choir. It appeals to singers and audiences alike capitalizing on the vibrancy of younger voices and maturity of experienced singers. The repertoire choices for the St Peter’s Mass will be finalized once registrations for the festival are concluded. If you know of Dr. Buchanan's work, you will know the integrity of this opportunity at every level - the touring, the camaraderie, the collaborative approaches that are her hallmark as well as the excellence in music she creates and amplifies! Please feel free to be in touch with Dr. Buchanan directly for further information or with me for a fuller prospectus about the event. Performing in the heart of Europe is a dream come true for so many. Sounds of music in Salzburg, waltz to a concert in Vienna, perform in Prague, bow in Budapest, sail to a virtuoso finale in Venice! Ian Loeppky – focusing on college choirs. Sing the grand venues of Europe, perform in intimate spaces, enjoy warm audiences and participate in exchange concerts. Europe’s premier band festival invites you to perform in Austria, July 2017 alongside Frank Ticheli. This opportunity will feature America’s finest band talent at Europe’s most prestigious annual band festival. You are invited to perform individually and/or as part of the combined ensemble Ticheli will conduct. We start with concerts in Vienna before moving onto Schladming, Austria for the Mid Europe Festival. If Austria is not your choice of touring destination in 2017 KIconcerts has custom tour and other festival options for you around the world; across Europe and on roads less traveled such as Australia, Iceland, China, Costa Rica, Cuba, Vietnam and South. I was in England recently to discuss the visit of our next band to Harrogate and to celebrate the 50th anniversary of the Harrogate International Festivals with Prince Charles and his wife the Duchess of Cornwall. The band in Harrogate with which we arrange exchange concerts had the unique honor of performing for His Majesty that day. Join us for you next international concert tour adventure!!! 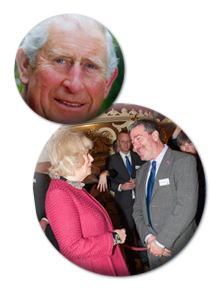 Prince Charles and the Duchess of Cornwall were interested to hear about the US ensembles we host in the United Kingdom at a reception I attended in England last week. 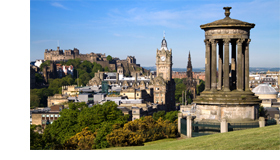 Great Britain is a sensational touring destination. Some groups like to be based in London with performances there, Oxford, Canterbury, Cambridge etc while others give concerts in Wales, Scotland and Northern England. 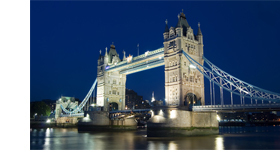 Enjoy custom tours with exchanges, a chance to enjoy a West End show and tour all the renowned icons the UK is famous for. In addition festivals abound throughout the land including the prestigious Harrogate International Festival that the Royals visited last week. MORE touring options beyond Europe - launching Iceland, Cuba, Vietnam in addition to Australia, NZ, China, Argentina, Peru and India. 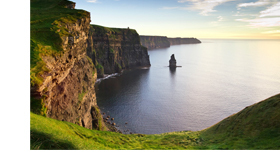 These unique destinations are each rich in history, culture, and performance opportunities. They are safe, comfortable and found on roads less traveled! KI launches a range of affiliated music festival events around the world (competitions and non-competitive options) to complement our brilliant roster of stars including Leck, Dilworth, Stroope, Buchanan, Hella Johnson. Next year Dr. Karen Kennedy leads a similar festival there. In addition to the formal concerts, they performed in Syntagma Square (the very heart of Athens) as well as at the St. Denis Cathedral. They climbed the Acropolis, saw the ancient sites of Athens, had their welcome dinner overlooking the Parthenon, celebrated New Year’s Eve with Athenians and had a day sailing the Greek Islands. Athens is truly awe inspiring as is the festival price! Join us for history, warmth, concerts and New Year’s fun!